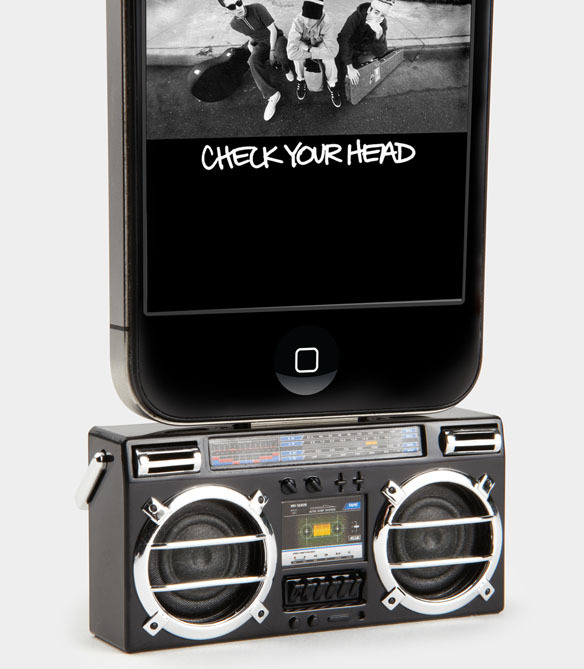 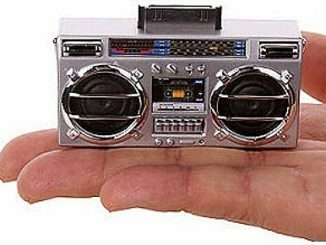 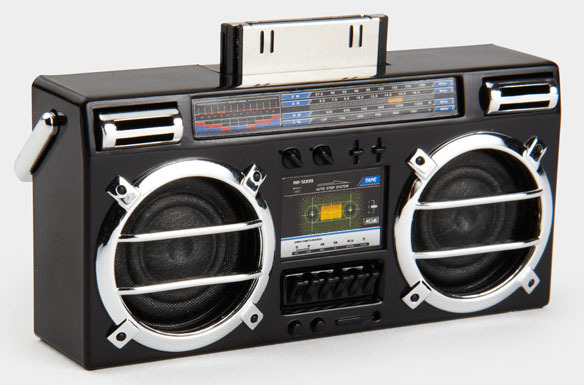 Enjoy a little retro flashback from the 80s with the Mini Boombox MP3 iPhone Speaker. 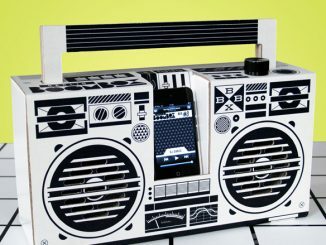 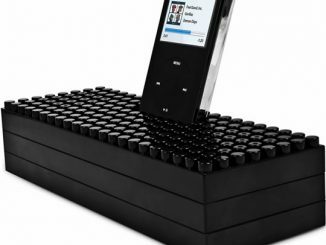 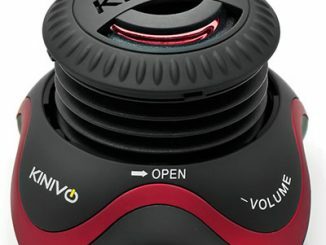 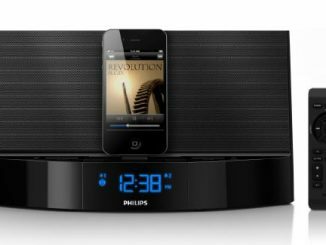 This boombox is the perfect speaker accessory for your Apple iPhone or iPod, turning that little sound into something everyone around you can enjoy. 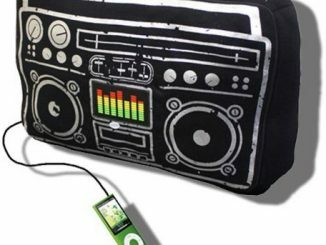 Perfect for sitting by the pool with friends or even when relaxing at home, the Boombox Speaker will allow you to enjoy your iTunes playlists with a unique style from the 80s. 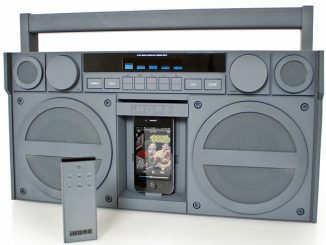 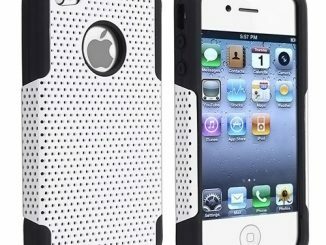 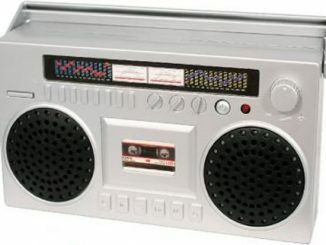 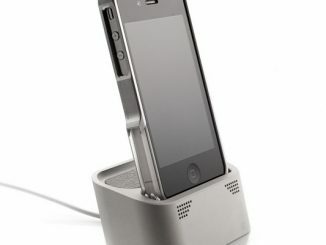 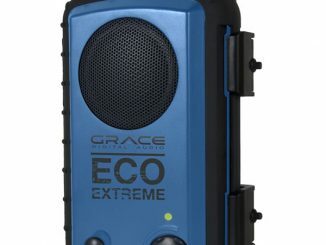 You can purchase Mini Boombox MP3 iPhone Speaker at FredFlare.com for $34.